It is hard to imagine today, but when the Datsun 240Z was released in 1970, it was arguably the best mass produced car to come from the island of the rising sun as of its release. Faster, better, and uglier (hello Nissan??) cars have certainly be produced, but if you want the original car that stood up and shouted to the world "私の声を聞く" this is it. 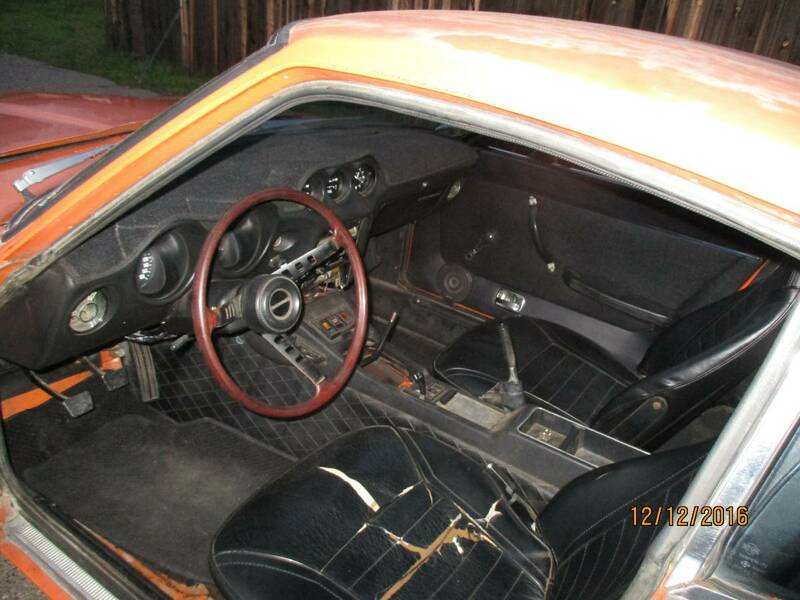 Find this 1973 Datsun 240Z offered for $8,500 in Rocklin, CA via craigslist. The Japanese car industry has done amazing things since 1970 -- including surpassing the might of the 'Merican and das German industries in things like build quality, mass production -- but it is always accused of being a bit soulless. Not so with the Z -- the has character...which means it will break down from time to time, but leave you smiling ear to ear when it works properly. Drive any classic and you understand why British car owners are smiling when you see them driving -- they are ecstatic that their car isn't broken down at that exact moment. 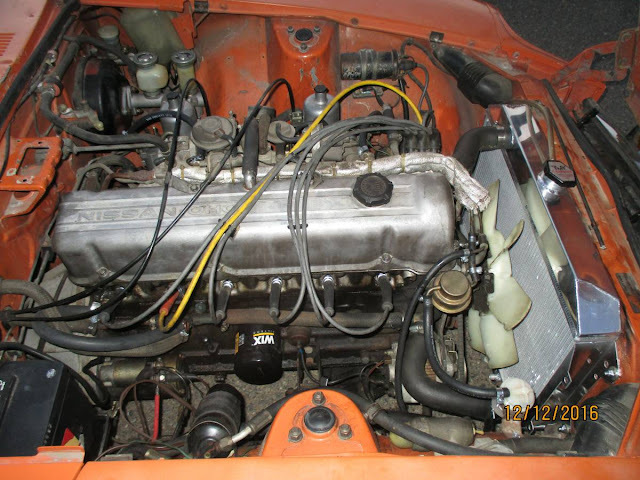 The 240Z is powered by the L24, a 2.4 liter cast-iron SOHC inline-6 putting out a respectable 151 horsepower and 146 ft-lbs of torque. 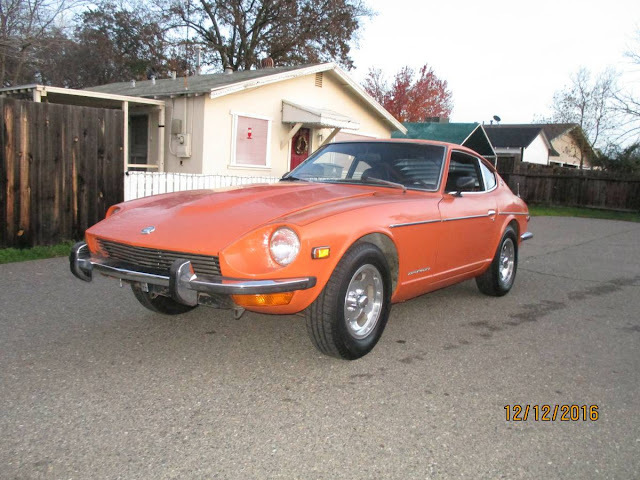 The result was sprightly performance for 1973, 0-60mph in less than 8 seconds, but more importantly the Z had excellent weight distribution and an athletic demeanor. Looks like its missing the hood catch/release and some interior bits. Mercifully the center console is intact... took me almost a year to find one that wasn't destroyed by the choke lever for my '72. My '72 is in marginally better shape, and for market reference, when I bought it 2+ years ago from the 2nd owner in Pasadena, CA it was $4500 and I've put about $1000 in repairs into it since (not including the 5-spd and R200 LSD swap). Looks like these are on the way up.